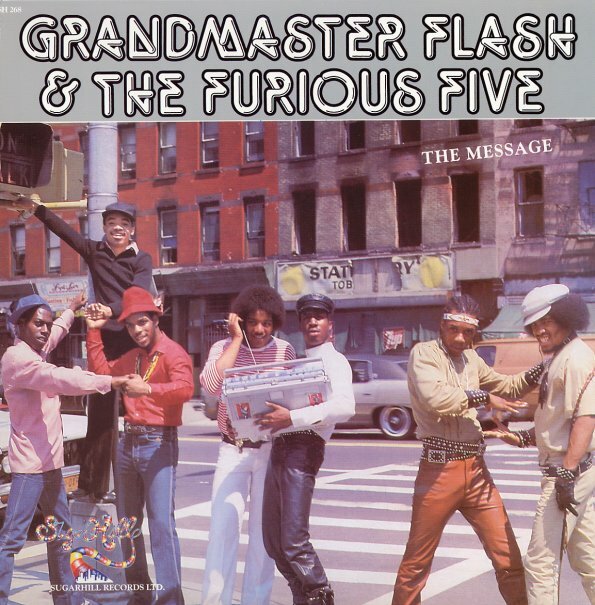 The classic debut album by Grandmaster Flash & The Furious Five – one of the pioneering groups in hip hop -history- not that we didn't need to tell you that! With prototypical party jams and the original conscious rap landmark "The Message", all over old school grooves laid down under Sylvia Robinson's watchful eye by the Sugar Hill rhythm section with Doug Wimbish, Skip McDonald, Keith LeBlanc and crew. That funky depth keeps it fresh to this today, with deeper classics like "Scorpio" and "It's Nasty", plus "Dreamin", "It's A Shame" and "You Are". © 1996-2019, Dusty Groove, Inc.